The human genome contains tens of thousands of gene loci which code for an even greater number of different protein and RNA products. The highly complex temporal and spatial expression of these genes makes possible all the biological processes of life from development and differentiation to homeostasis, aging, and programmed cell death. Therefore, it is not surprising that altered gene expression by mutation or deregulation is fundamental for the development of many human diseases including cancer. In some cases, cancers can be linked to large changes such as deletions or duplications of entire gene(s). In other cases, more subtle changes in expression levels of larger numbers of genes are involved. 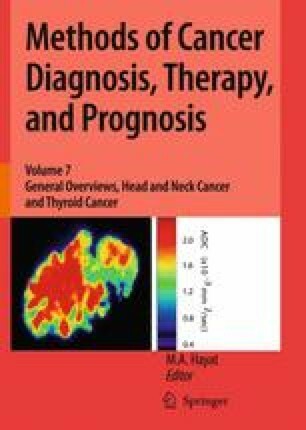 Until recently, cancer diagnosis was dependent on pathological methods and imaging studies that often require a tumor of significant size and suffer from poor sensitivity (Ahmed 2002). The recent development of gene expression profiling tools, promises to identify new and improved diagnostic tools at the molecular level.